Supporting Business Owners, Directors and HR Professionals with the latest in HR trends and news. Our HR blog is for informative purposes only. We provide general HR information and complimentary documentation. The HR Company would remind all readers that each HR issue should always be carefully considered before taking further action. If in doubt, please contact us at support@thehrcompany.ie or call us on 01 2911870. When you approach the end of a holiday year, it is time to consider the tasks which need performed to close out one year and start the next. Assuming you are using a ‘Set Date’ under Company > Settings > Time off Settings for Holiday Year then there are two tasks which need to be performed – carryover and setting the new date(s). If you use ‘Employee Start Date’ then you will need to manage this process manually (via Administration > HR > Time off management > Manage carryover values) when the employee’s start date anniversary is reached. To help with this, we recommend creating a Continuous workflow to notify the HR mailbox when an employee reaches their start date. Before starting this process, we strongly recommend you ensure that all time off has been processed and approved/declined as appropriate. Go to Administration > HR > Timeoff management > Process carryover – we recommend you use the automated process rather than manually entering values. You should not do both – you should do one or the other. Enter the start and end dates for your PREVIOUS holiday year (i.e. the one you have just completed or are about to complete) as you want to process what are, in effect, LAST year’s values. If you have some employees who have time off in days and others in hours then process carryover will only be able to deal with one set of these – it is not possible to days and hours both using the automated process. If you would only like to process carryover for individual sites, select the sites you would like to run from the check-boxes. You can also choose how to deal with negative values and how to account for rounding of figures. Click on the ‘Calculate and Check’ button and carefully check the values. If they are correct, then you can Submit them and they will be entered into the carryover balances. IMPORTANT: This process will overwrite ALL carryover balances currently in the system for ALL employees. You can then check the actual balances in Reporting > Report Library > Carryover Report. Once you have carryover completed, you now need to change the dates for your holiday year. At this point, you can then change the values for start of year. To do this you need to go to Administration > Company > Settings > Time off settings (global) and change the date in ‘Start of holiday year’ to the date of the new holiday year. Additionally, if you use carryover, you may need to adjust the value of ‘Expiry date for carryover days’. If you use Site level time off settings, you will need to repeat steps 8 to 11 for each of the sites in question – changing the settings in Time off Settings (global) only applies to those employees who are not located at a site with site level time of settings. To check if any of your sites use site level time off settings, go to Administration > HR > Data Management > Sites and check the column marked ‘Site level time off settings’ – any which are marked as ‘Yes’ will need their values updating as well as the Global settings. If you are using mandatory company holidays, you will need to input the company holidays for the new year. You will need to go to Time and attendance > Holidays – from here you will need to delete the previous year’s holiday dates using the ‘X’ icon and either manually add the new holidays using the ‘Add’ button at the bottom of the list or automatically populate public holidays using the ‘Map Public Holidays’ button below the list. When ‘Mapping public holidays’, if there are dates missing or incorrect for your chosen year you can either update the dates manually using the ‘Pencil’ icon or contact The HR Company. 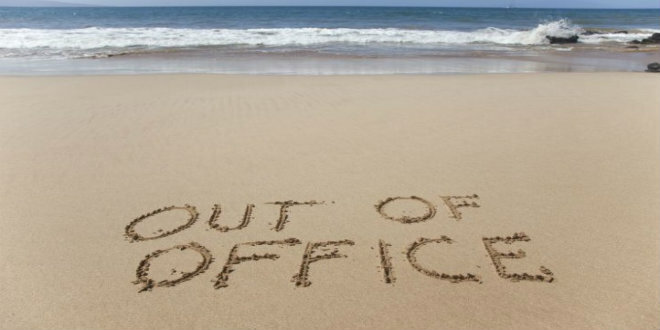 Annual leave is paid time off work that employees are granted by their employers – it can be used for whatever the employee wishes. It is important for employees to recharge the batteries and annual leave helps maintain a motivated and productive workforce. It is essential to note that the employer is statutorily obliged to provide a certain amount of annual leave to his or her employees. An employer can, of course, provide more leave than he or she is obliged to give – if an employer offers more leave to employees with long service histories or employees who exceed targets, for instance, this policy should be clearly defined and should be applied fairly across the board. Regardless of the employee’s status or length of their service everyone is entitled to annual leave. All time worked is eligible for paid holidays. In some instances an employee’s leave could be worked out using more than one of the approaches listed above – where this is the case all applicable methods should be calculated and the employee shall be entitled to the highest result. Remember – the maximum statutory annual leave entitlement is four of his/her normal working weeks. The most common method used is: 4 working weeks in a leave year during which the employee works a minimum of 1,365 hours (Unless the employee has changed employment during that year). If the employee’s pay is calculated by a fixed rate or a salary then the figure due to the employee per week of paid annual leave is equivalent to the amount he or she received for the normal weekly working hours last worked – This payment includes any regular bonus or allowance (that isn’t based on work completed) – it excludes any overtime pay. If the employee’s pay is not calculated by a fixed rate or salary but instead by commission, for instance (or based on productivity rates) the amount paid to this employee per week of annual leave should equal their average weekly pay calculated over the 13 weeks prior to their annual leave commencing. (If the employee did not work during that period, the average weekly pay is calculated over the 13 weeks prior to the employee’s last working day before the annual leave commences. This excludes overtime. In order to accurately calculate the number of annual leave days an employee is entitled to it is necessary to incorporate all hours worked in the calculation including time spent on annual leave (yes, employees accrue annual leave while on annual leave! ), time spent on maternity leave, parental leave, force majeure leave or adoptive leave as well as time spent on the first 13 weeks of carer’s leave and certified sick leave. Employees do not accrue annual leave while on occupational injury leave, temporary lay-off, or career break. If an employee falls sick during his or her annual leave this day(s) is not counted as annual leave (once it is covered by a medical certificate) and the annual leave day is kept for them to use at a later date. Employees on long-term sick leave can retain annual leave they could not take due to illness for up to 15 months after the end of the year in which it is accrued. Workers who leave their employment within 15 months of the end of the year in which this annual leave was accrued, are entitled to payment in lieu of this leave which was untaken due to illness. It is common practice for an employee to request their desired leave dates and usually, once an agreed period of advance notice is given (allowing the employer to arrange suitable cover etc. ), the employer agrees. Annual leave is usually discussed in terms of weeks but, with employer consent, it can be broken down into shorter periods – often days or even half days at a time. It is the employer who approves holidays (it would not work from a business perspective if all employees were to arrange leave at the same time, for instance). The employer is, however, required to take the employee’s family responsibilities and need for rest and recreation into consideration. This annual leave must be given to employees within the leave year or, with the consent of the employee, within the first six months of the following year. The onus is on the employer to ensure that the employee takes their statutory leave allocation within the appropriate period. Employees may, with the consent of the employer, carry over holidays that exceed the statutory allowance to the next year. If the contract of employment is terminated and there is unused annual leave in respect of the employee the employer is obliged to compensate the employee for the accrued leave. It is illegal to pay an employee in lieu of the minimum statutory leave entitlement unless the employment relationship is terminated.